Applied Laser Engineering will exhibit its laser engraving systems, which are used to engrave high resolution 2D and 3D graphics into the surface of cylindrical and flat substrates for various printing, texturing, security and embossing applications. 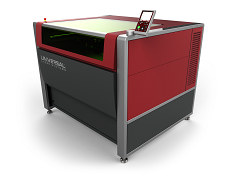 The company’s range of laser engraving systems are made up of a high precision machine bed integrated with novel mechanisms and optical instrumentation together with specialised electronic, optical, computerised and laser equipment. Machines range from 0.6-7 metres roller length capability, and up to 1 metre diameter. Laser type and wavelength is application or material specific. Materials processed include metals, ceramics, rubber, and natural and synthetic polymers. Engraving systems for ceramic anilox are a speciality. The company is developing its range of products to increase productivity, reduce production costs and to meet specific customer driven requirements. 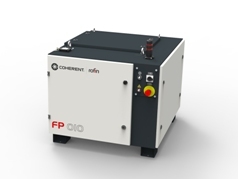 Coherent-Rofin will show its new, 1kW average power pulsed fibre laser. The system offers the highest beam quality currently available at this power level, thus enabling high throughput, precision ablation for a variety of industrial and solar applications. Specifically, the FP 010 delivers a maximum pulse energy of 100mJ, at pulse widths between 10ns and 100ns, and with repetition rates ranging from 10kHz to 30kHz. A beam parameter product of less than 24mm x mrad for a 400μm, round core output fibre enables this power to be concentrated into small focused spot sizes, potentially offering longer working operating distance or scanning over a larger field. The FP 010 is constructed to be reliable and deliver high uptime in demanding, multi-shift industrial environments. The product uses field-proven components, while pump laser bars with a wide emitter separation minimises the impact of a single diode failure on overall system operation. The FP 010 is an ideal source for ablation, surface cleaning, and precision material and coating removal in a range of applications. These include AlSi removal from tailored blank parts prior to welding, edge deletion for thin film (CdTe, CIGS) solar cells, cleaning of moulds, aerospace components and other precision parts, as well as other surface cleaning, activation and structuring uses. Element Six will showcase its Optical+ Low Absorption diamond, which can be used as a low loss intra-cavity heat spreader for high power disk lasers, as well as a gain medium for Raman lasers. 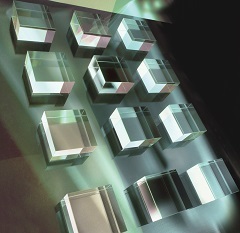 Raman crystals are offered in sizes up to 6x6x2mm, with larger sizes available on request. Also featured will be the company’s Diamond PureOptics range. Drawing inspiration from the anti-reflective structure of a moth’s eye, this all-diamond solution offers improved reliability and even higher power density levels for high power CO2 laser systems. Diamond PureOptics exhibits a significantly higher laser induced damage threshold (by a factor of 10) than anti-reflective coated windows, with equivalent reflectance (less than 0.5 per cent) and transmission (above 99 per cent). The diamond-structured surface is designed to reduce reflection losses and replace typical anti-reflective thin film coatings found on diamond optical windows. The TM200 bulk heat spreader also being shown offers high thermal conductivity – more than 2,000W/mK at room temperature – providing greater reliability and reduced system size in optoelectronic high power and high power density devices. Gentec Electro-Optics will be showcasing its new solution for measuring laser beam quality, along with its new generation of portable laser probes. With the new Beamage-M2 system, M2 measurements are taken directly in the company’s software, which controls both the acquisition and calculations. An easy step-by-step procedure is clearly indicated in the software and enables the user to get ISO-compliant M2 measurements in less than a minute. 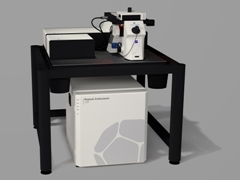 The system features an automated translation stage that offers 200mm of travel and 400mm of beam path variation. The Pronto series of portable laser probes with touchscreen control now features models for high power measurements up to 10,000W and energy measurements up to 350J for IPL. Their rugged, all-metal body and small size make them easy to carry and use anywhere, while their low noise and high damage thresholds enable a wide range of power or energy to be accessed on each device. II-VI will showcase its portfolio for laser materials processing, including laser optics, laser processing heads, laser light cables, and direct diode laser engines. Highlights of the optics product line include 10kW class optics for fibre and direct diode lasers, CO2 laser optics with diamond overcoat for high durability, and multi-band coated optics for hybrid laser processing systems. II-VI now also offers new broadband high reflective coatings for CO2 scanning applications. The durable diamond overcoat (DOC) line has been expanded to include dual and broadband anti-reflection coatings for zinc selenide and germanium substrates. II-VI will demonstrate its new seam tracking feature of its scanner-based remote laser welding head RLSK in a live robotic application. The II-VI portfolio offers laser processing heads for a wide range of applications, including cutting, welding, cladding, hardening and brazing. The modular structure of the heads even permits customisation for specific customer demands. The company will showcase its capability to equip all industrial 1μm lasers with state-of-the-art laser light cables, as well as its latest generation collimating and focusing modules and receivers. The new II-VI direct diode laser engine DirectProcess meets the needs of advanced material processing applications. It provides a CW power output of up to 600W at 940nm central wavelength with a beam performance exceeding 8mm*mrad at the output of a 100μm/200μm industrial delivery fibre. The product is Industry 4.0-ready with network-capable electronics and data logging capability enabling remote diagnostics, predictable life cycle management and modulation of up to 50kHz. 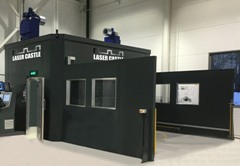 Lasermet will demonstrate its Laser Castle, a modular laser safety cabin with a choice of auto or manual doors, and full dual-channel interlock control. It integrates active laser guarding in the form of Laser Jailer, and active filter window technology – Glaser Jailer – to provide virtually immediate switch-off of any multi-kilowatt laser beam that strikes the interior of the safety cabin. Turntables are catered for and Lasermet’s fume extraction systems can be integrated. Lasermet also produces and certifies a range of industrial laser safety equipment and systems conforming to EN 60825. Services include FDA reports, training, laser testing, audits and risk assessments. The company covers all laser safety aspects including LED warning signs, labels, optical table guards, laser blocking curtains, screens and roller blinds, modular enclosures, laser safety calculation software, filter windows, laser shutters (to PL‘e’) and dual-channel interlock controllers (to ISO13849-1 PL‘e’). Nanoscribe will be displaying its Photonic Professional GT, a 3D printer for 2D, 2.5D and 3D structuring on the nanoscale to the mesoscale. The resolution is reflected in sub-micrometre details down to a structure size of 200nm, as well as the achievable surface roughness in optical quality. Polymeric materials are exposed and cured by a laser lithographic process based on two-photon polymerisation. High-precision voluminous structures with an edge length of a few millimetres or micro-structured surfaces with elongation down to the square centimetre range can be printed on various substrates with a nearly unlimited freedom of design. The user-friendly workflow is based on conventional 3D printer standards. Specially developed process solutions as well as photoresists give maximum mechanical stability, shape control and surface smoothness. The printer sets standards for science and industry, for example in photonics, micro-optics, microfluidics, life sciences, medical and sensor technology. Ophir will display its BeamSquared device, an M2 laser beam propagation system that measures the quality of the beam to optimise performance. A compact, portable device, it provides automated measurements of the propagation characteristics of CW and pulsed lasers in less than one minute. Users can run the system in automated mode from UV to NIR, and telecom wavelengths, and in manual mode for terahertz and CO2 laser beams. BeamSquared is designed for continuous use applications, from scientific research to rapid prototyping to fabrication and machining. The system includes the BeamSquared M2 software; a high accuracy CCD, InGaAs, or pyroelectric array camera; and an optical train. The software measures beam propagation characteristics on both the X and Y axes, including waist diameters, full angle divergences, waist locations, Rayleigh lengths, M2 or K and BPP factors, astigmatism, and asymmetry. 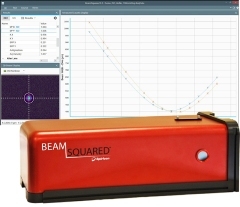 2D or 3D beam profiles provide visual verification of beam profile behaviour through focus. Scanlab will be exhibiting the PowerScan II, a new 3D scan solution for industrial cutting and welding applications using CO2 lasers. This 50mm system offers small spot sizes and large working fields. Its low-mass mirrors also make it ideal for the highly dynamic cutting of paper and cardboard packaging, as well as textile marking or the welding of metal components via multi-kilowatt lasers. The solution’s usage flexibility is emphasised by a motor-controlled Flex function that enables continuously variable image field sizes from 250 x 250mm² to 1,500 x 1,500mm². Simultaneously, various spot diameters and working distances are achievable. The iDrive technology permits multiple application-specific tunings, for example for complex cutting shapes with many angles, or for line-by-line bitmap marking at high line speeds. The PowerScan II’s compact design enables the deployment of several scanners arranged in parallel within a confined space, to facilitate simultaneous processing in overlapping image fields. 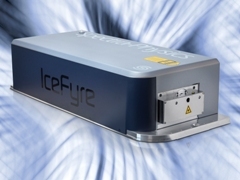 MKS Instruments’ Spectra-Physics business unit will exhibit IceFyre at the trade fair in Munich. Icefyre is a compact, high power industrial picosecond hybrid fibre laser with excellent cost performance. IceFyre delivers exceptional performance with high power and short picosecond pulses, as well as having adjustable repetition rates, TimeShift ps programmability pulse flexibility, and pulse-on-demand triggering. Combining power supply and laser head in a single rugged and compact package, IceFyre enables easy system integration and has proven reliability and stability. The new laser is ideal for picosecond cold micromachining in high throughput, precision manufacturing of sapphire, glass, ceramics, fine metals, plastics, and other materials and devices. IceFyre is designed for continuous manufacturing applications that were not previously technically and economically feasible. 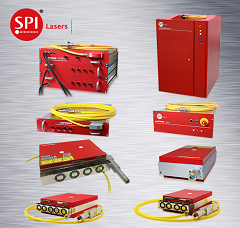 SPI Lasers will exhibit its latest generation of advanced RedPower CW fibre lasers with innovative features such as pierce detection and back reflection protection, optimised for the most challenging industrial manufacturing tasks. Customers will have the opportunity to see the new RedPower Prism and Qube CW (300W to 6kW) products for the first time, and identify how these fibre lasers can improve industrial manufacturing processes by maximising efficiency, reducing production times and lowering costs. Both the Prism and Qube product lines include numerous innovative user benefits to reduce downtime and increase productivity. 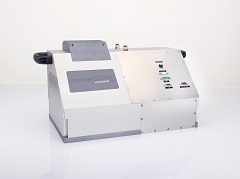 Synrad, a provider of high performance CO2 lasers, will showcase its newly released vi40, a compact 40W laser for industrial coding, marking and engraving applications. The vi40 with Synrad’s new Gen2 tube design delivers a stable, accurate laser beam for precise control and high-resolution processing without external correction optics typically required with other CO2 lasers. Built to perform in demanding industrial environments, the vi40 has a wide operating temperature range, and enables real-time temperature monitoring of the laser tube to ensure optimal laser performance with the new temperature broadcast feature. The vi40 offers 40W of continuous power, excellent beam quality, and 100kHz max pulse frequency. 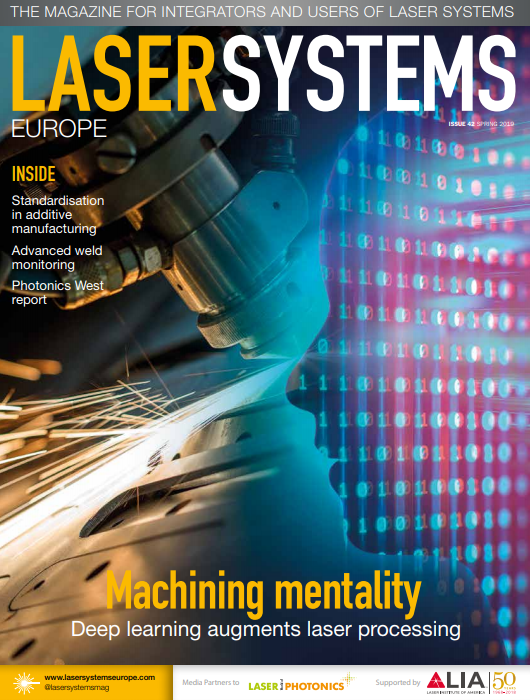 Universal Laser Systems, a provider of CO2 and fibre laser systems, as well as OEM integrated air and integrated water lasers, will be exhibiting its XLS10 MultiWave Hybrid laser material processing system. The machine combines multiple wavelengths into a single coaxial beam. 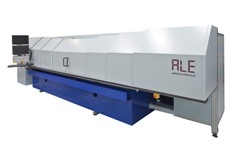 The company’s laser systems are used to cut, mark and engrave plastics, composites, ceramics, metals, rubber, wood, glass, stone, acrylics, textiles, and unique materials. For OEMs, the company is also showcasing its 10.6µm CO2 laser offerings and a newly added line of integrated, air-cooled CO2 250W and 500W lasers.